It’s not a surprise that in this day and age, Canadian kids are spending a lot of time in front of screens–they’re missing out on all the fun and wonder that nature has to offer. That is why Nature Valley has partnered with the kids’ conservation organization Earth Rangers to encourage kids to swap their screens for nature fun and embark on #NatureMissions. You can find them on their NEW Nature Valley Lunch Box packaging. While our girls do enjoy screen time, we make it a point to have some outdoor fun. We especially love hikes and Nature Valley’s Nature Missions have been fun! What is a Nature Mission? Each Nature Mission is an easy activity intended to encourage and inspire kids to get outside and rediscover nature. 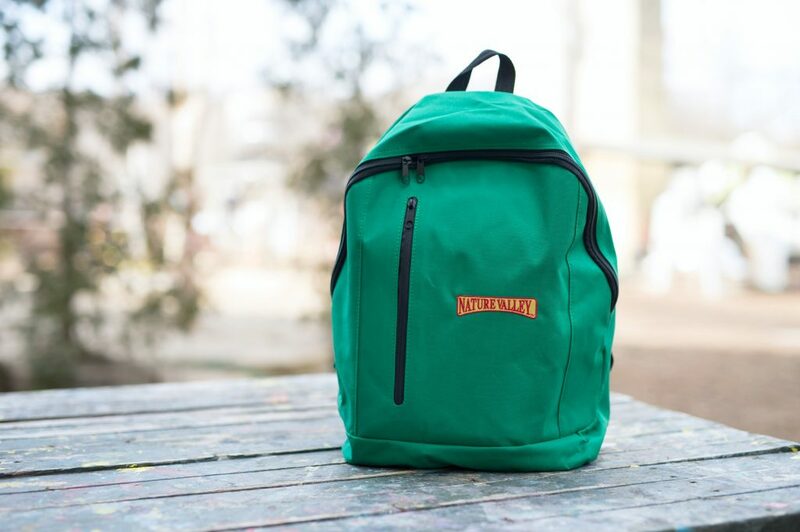 Nature Valley hopes to make every recess, every walk out to the backyard, every stroll through the park, every snack on the go an opportunity for kids to learn, experience and discover something about nature. 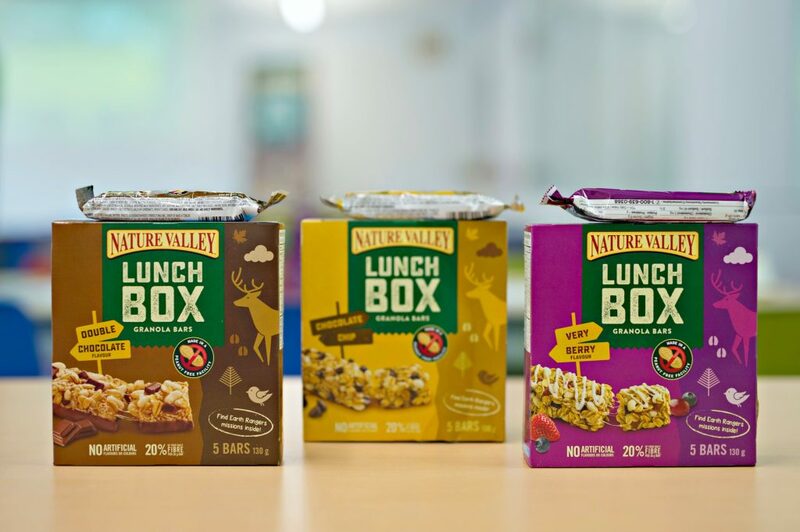 There are 30 different missions printed across our Lunchbox wrappers so at any given point, when you open a Nature Valley Lunchbox carton, you’ll get five #NatureMissions. My girls absolutely love the granola bars because they are tasty and have big chunks of chocolate or fruit. They especially loved the Double Chocolate and the Very Berry. The Nature Valley Lunch Box granola bars come in three different flavours– Very Berry, Chocolate Chip and Double Chocolate. All three are peanut-free! You can visit EarthRangers.com/back-to-nature to see all of the nature missions and to get information about nature. You can even accept missions and develop your own and win fun prizes. The Nature Missions are great for kids of all ages and can be done as a family. Want to be an Earth Ranger? It is super simple and completely free. All you need to do is visit EarthRangers.com, sign up your child to become a member and they will receive their welcome package in the mail. It will include their very own personalized membership card too. As a member, your child will gain access to educational and impactful articles, games, and activities such as the Back to Nature Mission. To celebrate Nature Missions and to get kids out and about enjoying nature, I’m giving away a fun Nature Valley Prize Pack! 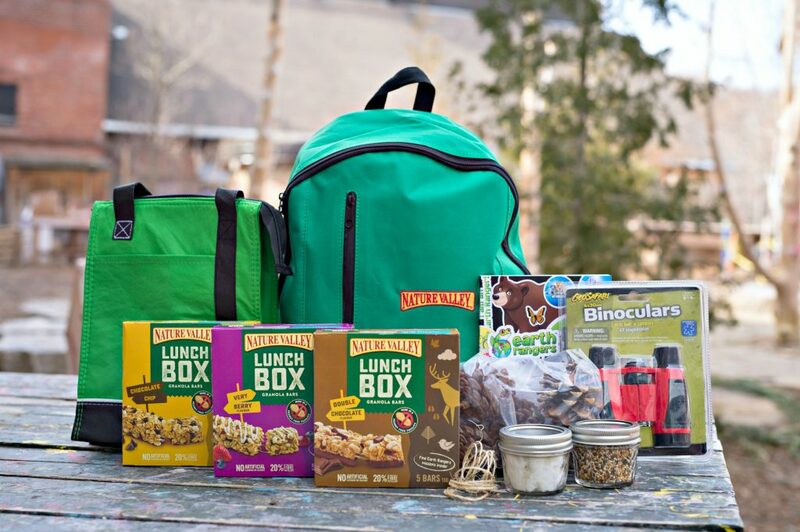 A backpack filled with Nature Valley goodies, a bird feeder kit, binoculars to birdwatch and more. We are super excited to make our own bird feeders as we have lots of birds that come to our backyard. Our favourites are cardinals and blue jays. 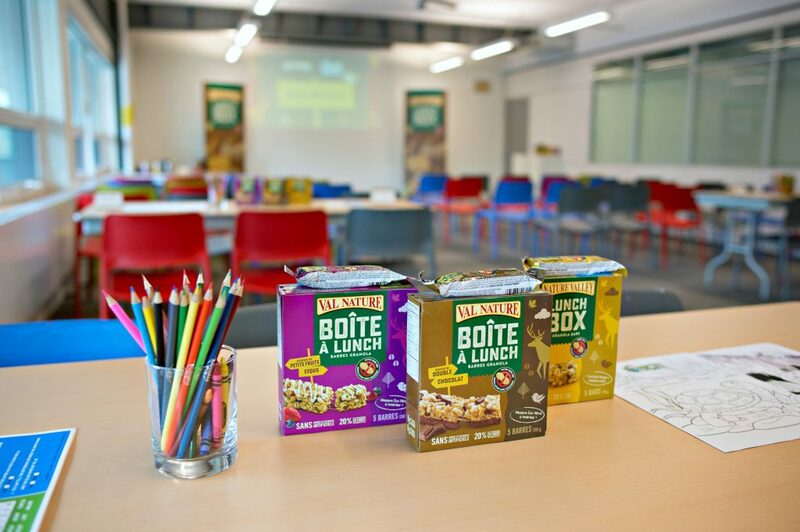 You can pick up Nature Valley Lunch Box granola bars at grocery stores and mass retailers across Canada. Prices are set by the retailer. For more information, visit EarthRangers.com/back-to-nature and reconnect with nature. Believe me, you won’t regret it. Visit Nature Valley for more details and product information. Do you and your kids get out to enjoy nature? My 5 kids and I enjoy walks in various the parks in our neighborhood. I’d love to try the double chocolate! We love to go on long hikes around the local trails! The first granola i would love to try is very berry! I like to get my family out to enjoy nature by hitting our local walking trails and parks! We go for a walk everyday to enjoy nature. We love going for nature walks on our beautiful trails along side the pound and the river. I would love to try the very berry first! What a great idea to put missions on the wrappers. We get out to enjoy the outdoors on hikes, on our bikes, while geocaching and taking our dogs for nature walks. I am looking forward to trying Double chocolate flavour. I would like to try the Very Berry first. I love berries. I love the ontario parks ! The trails are perfect ! we take the grandkids geocaching, treasure hunting at its best, with lots of interesting places we’d never see normally. Would love to try the Double Chocolate, would be a perfect treat when we are camping. I would love to try the Chocolate Chip granola bar first. I would try the berry berry first. We live pretty close to the mountains so my grandchildren love to go out and hike in summer and snow shoe and ski in winter. The Double Chocolate Nature Valley Bars would be perfect to take with them. I would like to try the double chocolate Nature Valley bar first. We enjoy getting out on the trails and Parks as a family. Walking along the beach strip in the summer is a favourite too. We love to go on hikes and bike rides with my family exploring nature! ohh,I want to try the double chocolate ones first! We usually go for walk in our local city park, and I would like to try the Very Berry first. We love to go hiking together! Our family loves going to play at the park or at the beach! We like to walk along the nature trails,. I’m looking forward to the double chocolate! How can that go wrong? My family enjoys going on walks and nature hikes! We are very fortunate to live in an area that is rich in trails, rivers, hills. We try to get out for walks/hikes/biking as much as we can. It’s nice to enjoy some quality family time and “talk” to each other! I’d like to try the dark chocolate granola bars. We have a number of great parks nearby that we will explore finding birds and fish. We try to get out a couple times a week to our favourite hike near our house or the wetlands. We also aim to get to the park as close to daily as we can. I would like to try the double chocolate Nature Valley granola bar first. I take the kids out for hikes on the boardwalk. I would like to try the Double Chocolate Nature Valley granola bar first. I love the sound of all three Nature Valley choices and think I’ll try the chocolate chip first. We take the dog for a walk as a family! We like to go walking in the Toronto ravines. Once you’re in them you can’t even tell that you’re in the middle of the city. Would love to try Double Chocolate! We have a bird sanctuary lake nearby and alwaus walk in the woods and mountains, we love wildlife and we always vacation where we can see a lot. We have a falls near by and we love to go and hike the trails there. It is great exercise because you have to do a bit of climbing on the path when you hike. All three flavors sound yummy but the double chocolate is the one I would like to try first. We go outside walking in nature every day when the weather is not terrible. We have a lot of trails by the river that are great to walk on as a family. We live in the country so we are always taking the grandchildren out .walking and exploring nature. We went for our daily walk today. I take my three little girls outside as often as possible, at least once a day even in the worst weather, and we do “hunts” for different items, bring bubbles and sidewalk chalk on warmer days, and walk to stay heart healthy. My girls especially love my pedometer! My family and I love to find local trails to go nature hiking on! We got for walks a lot! We live in the country and there is so much to explore. We enjoy taking nature walks all the time here. There is a walking trail about 5 min away from where we live. I would like to try the double chocolate bar sounds very yummy. My family and I take nature walks to enjoy nature! I would love to try the douvble chocolate. We get out and enjoy nature by hiking local trails in the spring and summer. There’s a lot of wildlife to be seen so close to home and it makes for a very fun day!! Very berry sounds pretty darn good! I’d love the double chocolate! I would like to try the double chocolate. I would like to try the Double Chocolate Nature Valley Bar. I’d be all over that Double Chocolate granola bar. I want to try double chocolate first. We go for walks in the bush at camp. We have seen many very great things out there. I would try the double chocolate first. Snow is predicted for tomorrow but I will still be out walking. I am excited to try the Very Berry bar. Our family loves to camp and while there do nature walks and trails. i’d love to try the double chocolate one first. Double Chocolate? I am in. We’re lucky to have great walking trails in town, and around our local lakes. We go for a walk most Sundays to breathe fresh air and catch up. We like to go for walks to the park! Lots of great trails to bike on near us and they love being out there. I would love to try the double chocolate bars. April is here already.We will be walking despite the April showers. We love to camp and go hiking to get back out in Nature. We go to local parks, centre island or drive up north. I would love to go on a nature hike with the kids. on a family hike.Would love to snag this awesome swag for our grandson. Some of my grandchildren play Pokeman Go and that gets them out exploring. I was looking for Peanut Butter but Double Chocolate will have to do! I really feel for these poor people who can’t eat Peanuts. We like to hit the trails in nearby parks and conservation areas, and take walks through the woods. The Very Berry would be a good one to try out first. There is a nature preserve close to where my grandchildren live and it is a beautiful place to take a walk in. I want to try the double chocolate granola bar first! We love to go hiking, ice skating, fishing and geo-caching. I love to take hikes with the kids to the local conservation areas. We spend lots of time outside enjoying nature while we camp! My daughter loves going outside so I don’t have a problem with her but getting my son outside is a different story. I just tell them if they want time on their electronics they have to have outside time as well. I want to try the chocolatchip granola bars. We love to go for walks to explore nature. Today I feel like trying the Very Berry Bars from Nature Valley. We love outdoor time, we go for walks and nature hikes.. we are blessed to have many parks and areas we can do that. We love to spend lots of time in nature camping, these granola bars would be great to pack for snacks. After trying the double chocolate my next choice for granola bars would be the berry one. My grandchildren love to go to a local park that is by the river and it has a lagoon and canal where there is a lot of wildlife. I love to surprise them and have their scooters in the trunk when I get them off the bus. We head to the park and we go for walks. I think my daughter has every pine cone picked up within a four block radius, safely stored in a shoebox under her bed! We’d also love to try chocolate chip! Double Chocolate because who can say no to chocolate! Today I feel like trying the Chocolate Chip Nature Valley Bars. For a snack I would go to the double chocolate granola bar. I want to try first Chocolate Chip flavour. We like to go for walks, and to go to the park and to the beach. The Double Chocolate ones sound delicious! Would love to try the double chocolate. My daily walk was in a downpour of rain today. I would like to try very berry bars. The local bird sanctuary is a great place to explore nature. The Very Berry Nature Valley Bars are the type I would like to try today. My stomach is rumbling.I would like to have a double chocolate granola bar. We love going for a hike this time of year when everything is growing so much to see ! Love getting out camping & hiking! The Double chocolate looks so good. The Double Chocolate sound very tempting today. I’d love to try the double chocolate Nature Valley bar!! Ottawa has many joggers.I refer to walk. There are a lot of trails leading to marshes and ponds near where my grandchildren live. It is a great place to discover nature. Would love to try Double Chocolate first! We all like to work in the garden. Lots of hikes in the spring and summer for us. We have a very nice Conservation Park near our home that we take long walks through often. Took the dogs on a long walk threw the woods yesterday. Would love to try the double chocolate one! Hubby and I walked this morning to go out for breakfast. Love to try the double chocolate nature valley bars !! Today the Double Chocolate Nature Valley Bar would be what I would like to try. Double chocolate here I come xox. I’d love to try the Very Berry bars! I am thinking the double chocolate would be great to try! We love getting out Easter weekend and enjoy nature by removing all the old bird houses and feeders and putting up the new ones we made over winter. I would love to try the Very Berry Nature Valley Bars. We are a big hiking family, and go for a 5km+ once a week at least! We go for walks a lot. Lately our outside time has been spent playing in mud. Walking through High Park in most seasons is our way of enjoying the nature. Would love to try the Double Chocolate! Great on the go treat!! !